If you’re looking for a job in Orkney, you’re in the right place. We’ll show you a range of career opportunities across different industries, and if you don’t find what you are looking for, you can register with us as we continually update the page with new listings that arise in Orkney. Whether you’re exploring a career change or hoping to progress your current path, we’ll help you find a role to suit your needs and career goals. 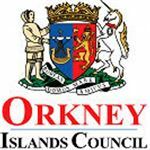 Below you’ll find all current vacancies in Orkney, including roles within the healthcare industry. Use the filters to focus your search on the type of role you’re looking for. After you are done, use our career guides to make your application process less daunting and to help get you started in your search to find the perfect job for you in Orkney. Located in the Northern Isles of Scotland, Orkney (also known as Orkney Islands) is a great place to live for those who love spending their time in nature. The community has formed countless groups and clubs for individuals to get together and enjoy their passions - ranging from any and all sports to different forms of art and leisure activities. 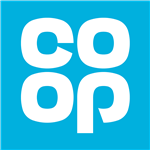 These mini societies make it easy to get involved in the community and meet new friends when you first move to the area, you can find more on the Orkney Communities page. On top of being surrounded by beautiful scenery on a daily basis, Orkney is also one of the safest places to live in the United Kingdom and offers an exceptional educational system for children. Plus, the locals are known to be very welcoming to newcomers and very proud of their home. Between the social services, childcare and education industry, there are more than a few ways to become part of community in Orkney. Many of the roles you'll find will be posted by NHS Orkney. 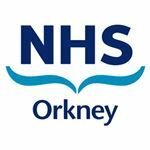 The NHS Orkney’s vision is to offer everyone in Orkney access to a NHS that helps them to keep well and provides them with high quality care when it is needed whilst employing a skilled and committed local workforce who are proud to work for NHS Orkney..